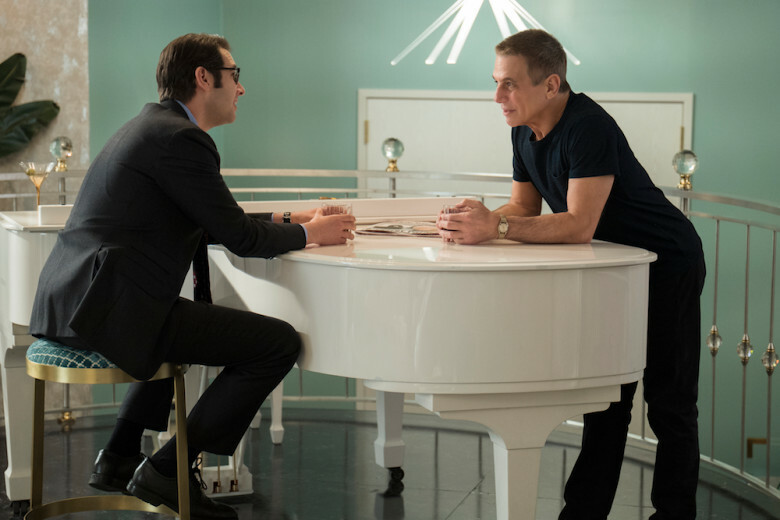 Tony Danza & Josh Groban charm as father and son in ‘The Good Cop’ | Love Productions Inc. They play two generations of New York cops living under the same roof, and of course the two men couldn’t be more different. Father Tony Caruso Sr., a.k.a. Big Tony (Tony Danza), is an ex-NYPD detective just out of prison after serving seven years on corruption charges. His loose interpretation of the law has rubbed off on his son, but not in ways that Big Tony expected. Tony Caruso Jr., a.k.a. TJ (Groban) is a pathologically strait-laced, by-the-book detective. He keeps a swear jar in the precinct and won’t even use the sugar packets his dad lifted from IHOP in his morning coffee at home. Their clashing personalities fuel some of the best scenes, such as when TJ won’t run a red light, even when the traffic signal is busted and there’s a line of honking, aggravated motorists bottlenecked behind him. His exasperated father wonders where he went wrong with the kid. But Big Tony is softhearted and would do anything to protect his son. And both are crack detectives, so together they solve the toughest of cases, even if dad’s help is as a consultant. TJ’s fastidious adherence to the rules annoys everyone else on the force as well, including his partner, Burl Loomis (Isiah Whitlock Jr.), a jaded veteran who’s so close to retirement he can practically feel the swing of a hammock as he dozes off in the squad car.